Last year LG introduced a set of mobile handsets in the series Dynamite . These mobile phones were named Dynamite as they includes massive features on very small price tags .Since then LG released more than 10 Dynamite phones in India and world over . Among which the latest phones are LG Dynamite GB270 ,KP265 and GB210 . Phones with 1.3-2 mega pixel camera ,expandable memory , mp3 player etc are available in Dynamite series for just 3500-5000 INR . For now here we have the specification and price of above mentioned three LG Dynamite phones . LG GB270 Dynamite phone come with changeable covers . That is you have two covers black and white that can used as per your mood . LG also provides two integrated user interfaces that can be used whenever these colors are changed .Another great feature in LG Dynamite GB270 is the FM recorder .This feature not even present on high end Nokia phones in Nseries and Eseries .Camera is only VGA quality . But if you can spend few hundred rupees ,1.3 mega pixel camera is available with Dynamite KP265 and GB210 phones . Bluetooth 1.2 with A2DP ,GPRS , 12 mb internal memory expandable upto 2GB via card ,web browser ,2 inch 65K color screen and an mp3 player capable of playing MP3 / MPEG4 are other notable features of LG Dynamite GB270 . Dynamite KP265 is slider phone available in color combination of red and grey . Here the loud speaker positioned at the center portion of the handset for improving depth ,and loudness of music . FM radio is accessible via speakers without use of earphones . LG Dynamite KP265 comes with a 1.3 mega pixel camera and 262 K color screen .Rocke Talk and Bluetooth messenger are two inbuilt software applications in Dynamite KP265 . 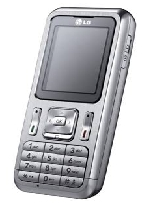 The later let you to connect friends on Yahoo, MSN, GTalk with a suitable internet connection .Bluetooth 2.0 with A2DP ,4 MB internal memory expandable memory upto 2GB ,Music player ,GPRS and web browser are other notable features . LG Dynamite GB210 is somewhat similar to Dynamite KP265 in features .Here the design is not slider ,and is more rigid with metallic finish . Rear speakers , expandable memory upto 4GB are few other changes from the above configuration . All these LG Dynamite phones are priced on marginal difference . So if you have the amount, Dynamite KP265 would the better choice considering overall design and specification .